We're delighted to welcome to the Long Table John and Marina Sekoranja, the new owners and winemakers at McKellar Ridge wines! 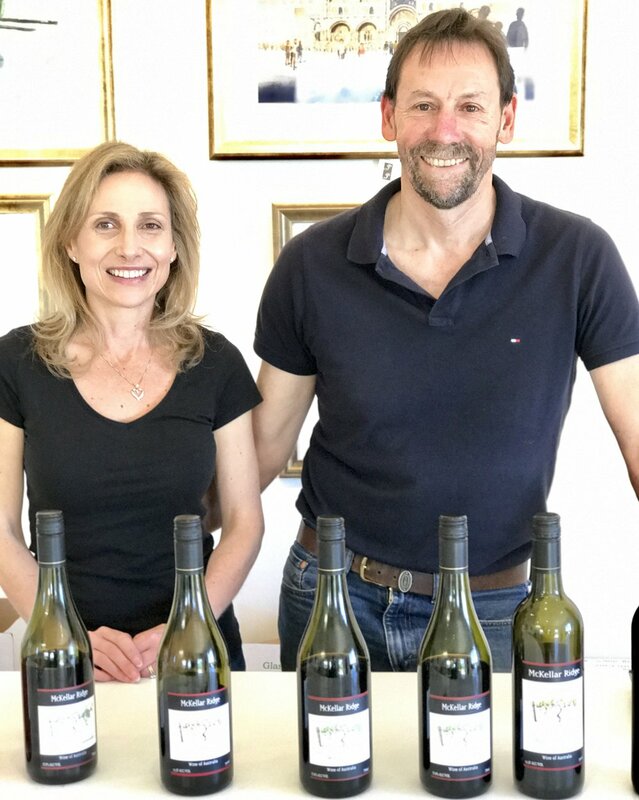 Since Brian and Janet Johnston opened McKellar Ridge winery in 2005, it has been synonymous in the Canberra District with quality, cool-climate winemaking. Carefully nurtured from grape to glass this boutique winery, set at the gateway of the Murrumbateman winemaking region, produces wines that exhibit the unique characteristics of the Canberra District - fresh fruit, spice and crisp acidity. For this special Canberra Wine Week event we're looking at a vertical tasting of two of the region's most famous varietals - Riesling and Pinot Noir. McKellar Ridge wines are are made from low-yielding, mature vines, carefully chosen from premium quality vineyards. Whites are lightly pressed and fermented in stainless steel vats, while the reds are open fermented with gentle hand plunging and basket pressing, before being transferred to French oak barrels. Expertly matching the quality of the wines on show, we're offering a six course degustation menu created by Muse Sous Chef Thomas Andrew, beginning with a 2015 Riesling. We then move on to the '16 and '17 vintages, and follow with our final three courses - vintages '13 and '15 Pinot Noir ending with a vibrant and fresh 2017 wine, with deep red cherry flavours and spicy oak on the back palate. As with all Muse food and wine events, vegetarian and gluten free options will be provided as standard. We are happy and able to cater for those with allergies and most contemporary dietary requirements.